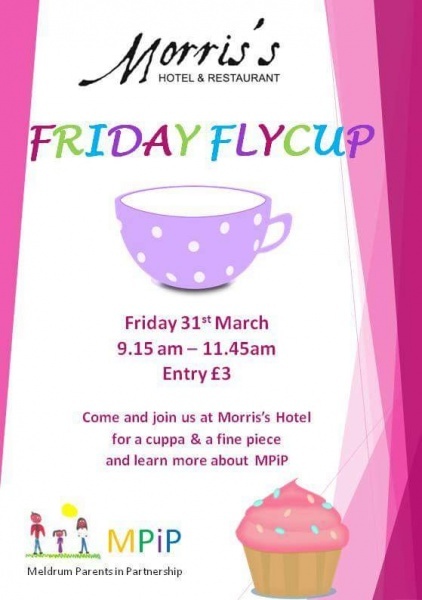 Meldrum Parents in Partnership are holding a fly cup and a fine piece morning break in Morris’s Hotel on this Friday (31st). Come and join them and help raise money for MPIP to support the school. Click on the poster to read a larger copy.